A few days ago, I wrote a blog post about the disciple Andrew. and I mentioned that I was named after my grandfather. That led me to think about my grandparents and their journey to America. I did a quick search online and with the help of some photos from my parent's house and the Ellis Island website, I found some really fun information. 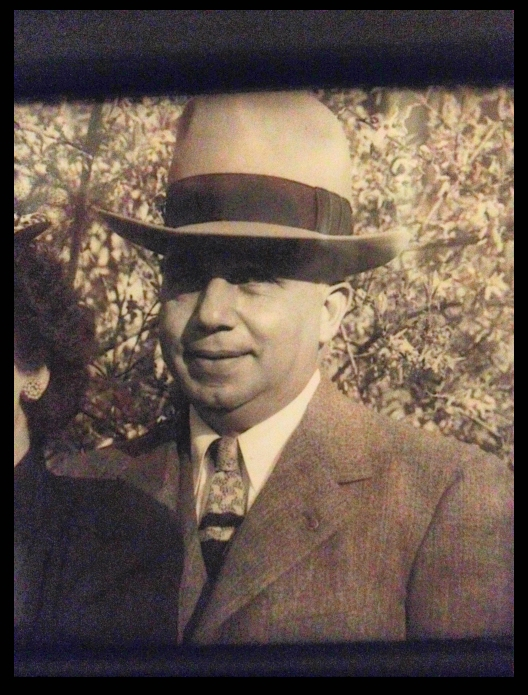 To begin with, below are two photos of my maternal grandfather, Andrew Carlino. The picture on the left was taken sometime between 1917 and 1920. In the photo he is wearing his uniform from his time in the American Expeditionary Force during WWI. The picture on the right was taken some time in the 1960's near the end of his life. I was able to find information online fairly easy. The details from the Ellis Island files were very cool. With his name and birth year, I quickly found that my grandfather landed in New York with two other members of his family at the age of 1. The ship manifest indicates that his family sailed from Naples, Italy on the 23rd of September 1897 aboard the Steamship Hesperia. After almost a month at sea, they arrived in the United States on October 15, 1897 and had plans to move to 240 Elizabeth St. in Lower Manhattan. Steamship Hesperia arrived in New York on October 15, 1897 with my grandfather from Baucina, Sicily. My grandfather's family was from a small region outside of Palermo called Baucina on the island of Sicily. Another quick search told me that there are still 40 families that go by the surname Carlino near Palermo today. I plan on taking more time for the research, but for now, I was amazed at how quickly I could find information about my grandfather and his arrival on the American soil.